The Department of Justice (DOJ) on Friday, November 9, 2018, has established a probable cause to indict Rappler Holdings Corporation (RHC), the firm that created the online news site Rappler along with its President Maria Ressa, and its independent Certified Public Accountant (CPA) Noel A. Baladiang for defying the National Internal Revenue Code. 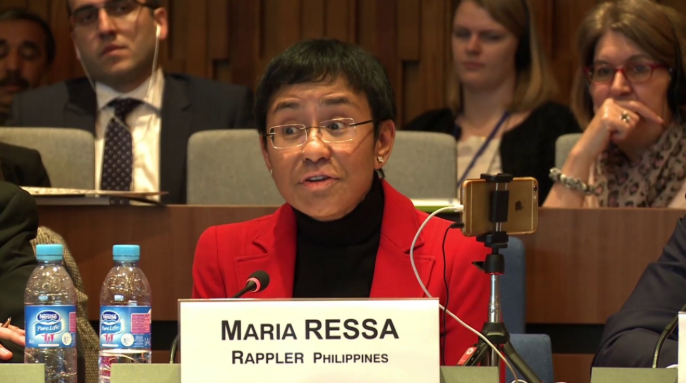 In a statement, DOJ Undersecretary Markk Perete asserted that a resolution was crafted in October 2 by the National Prosecution Service (NPS) alongside BIR in its criminal complaint vs. Ressa and RHC for "willful attempt to evade or defeat tax and willful failure to supply correct and accurate information,” – based on the information under Sections 254 and 255 of the Tax Code. Such resolution was penned by Assistant State Prosecutor Zenmar J.L. Machacon-Caparros, saying that RHC “acted as middleman” in purchasing Rappler Inc.’s Shares of Stocks for the objective of buying all the unsold shares by utilizing its Philippine Depositary Receipts (PDRs) to both NBM Rappler L.P. (NBM Rappler) and Omidyar Network Find LLC (Omidyar) for resale. A PDR, according to DOJ’s Press Statement, is a security which grants the holder the right to the delivery or sale of the underlying shares of stock. It derives its value from an underlying asset. As such, its value depends on the value of its underlying asset – which is the shares of stock of a corporation. 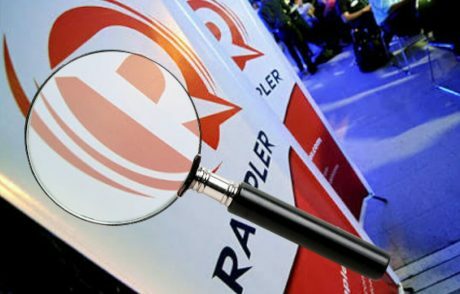 The BIR alleged that RHC earned a total of approximately P 162.5 Million on several occasions between 2014 – 2015 by purchasing common shares from Rappler, Inc. at P 1.00 per share equivalent to 119,434, 438. Consequently, RHC issued such PDRs vs majority of the RI Shares it gave to NBM Rappler and Omidyar for a total of P 181.6 Million. The firm allegedly FAILED to declare such earnings in its Tax Return. RHC Treasurer James Bitanga was initially involved in the original complaint in March filed by BIR with the DOJ but was immediately ‘dropped’ upon learning that he "was an inactive and nominal treasurer who did not participate in the management and operations of RHC," based from Maria Ressa’s declaration. The DOJ, however, turned its attention to RHC Accountant Noel A. Baladiang, finding him liable for violating Section 257 of the Tax Code by certifying RHC’s financial statements despite the merger’s failure to disclose Rappler Inc.’s shares after its purchase. 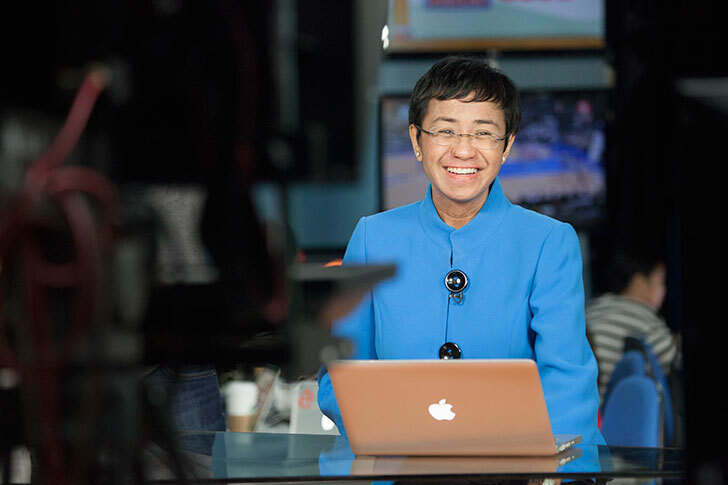 The Securities and Exchange Commission (SEC) maintained that the PDRs used gave Omidyar Network, an American investment firm, the purchasing power to control over Rappler, which violated the constitutional ban on Foreign ownership in the country. Rappler is a "mass media entity that sold control to foreigners," and it undertook a "deceptive scheme to circumvent the Constitution," it added. SEC’s decision was signed by Chairperson Teresita Herbosa, and Commissioners Antonieta Ibe, Ephyro Luis Amatong, and Emilio Aquino. Meanwhile, Malacañang welcomed SEC’s decision and maintained that it was not involved, whatsoever with SEC’s decision adding that the accusation may have had weight if the President appointed the SEC's commissioners, however, that was never the case at all.